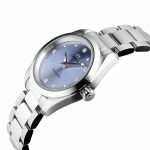 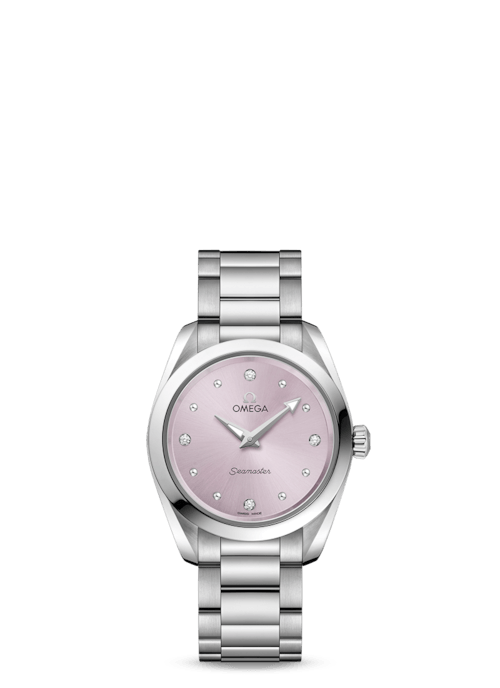 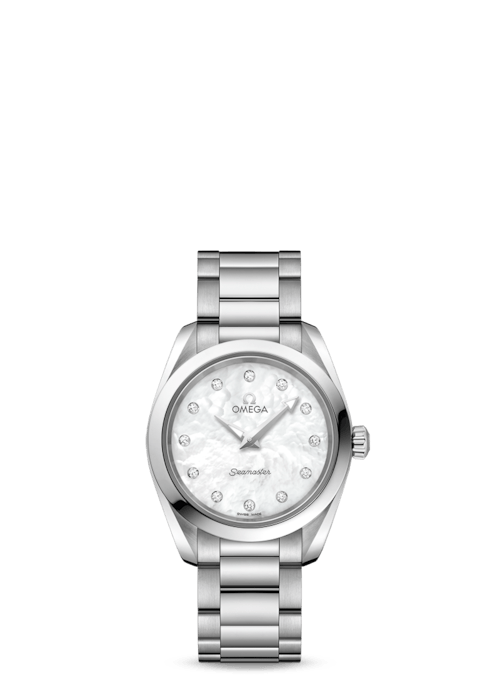 This stainless steel model features a lilac dial, 4 diamond indexes in rhodium- plated holders and 8 dotted rhodium plated indexes. 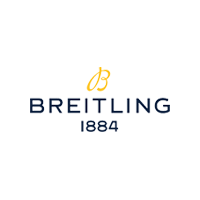 The hands of this watch are also rhodium-plated. 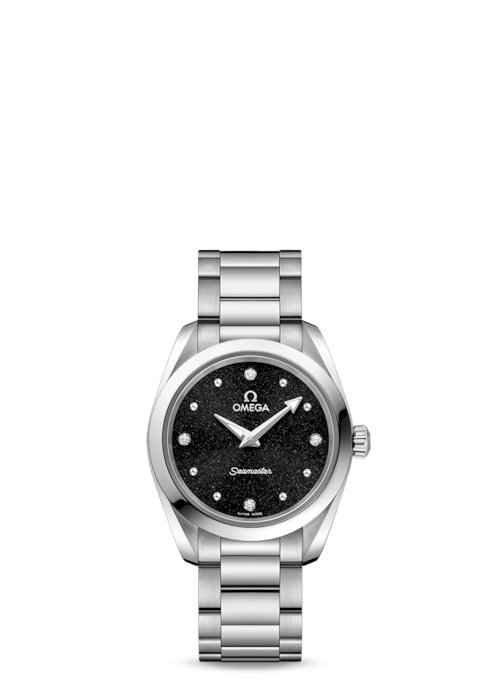 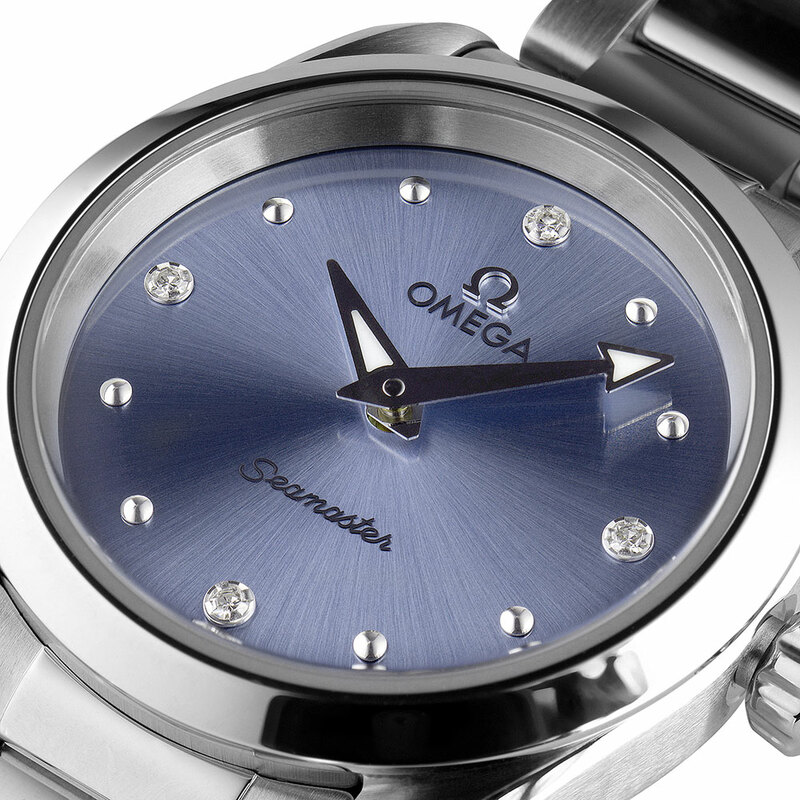 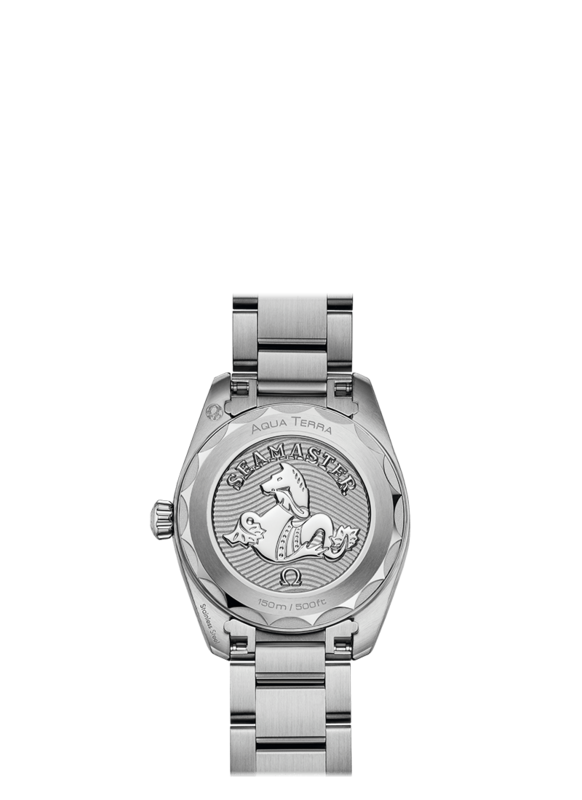 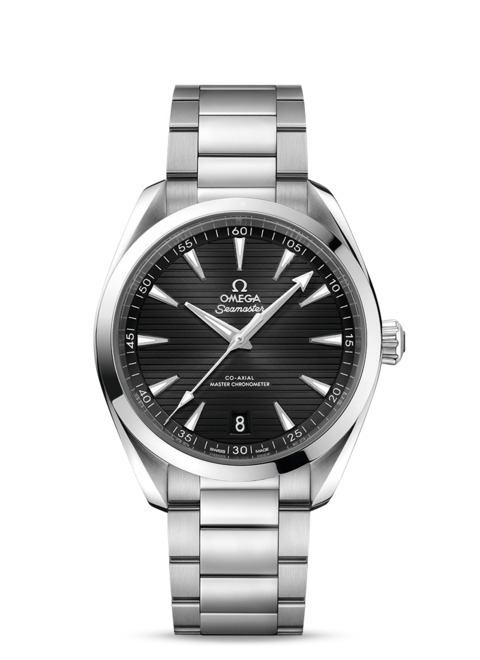 The caseback of this truly elegant watch is embossed with the OMEGA Seahorse on a wavy background.